A beverage and a book...simple! On my night stand...iced tea and Nevermore by James Patterson. I'm sad to see this series come to an end, but I can't wait to finish and see how James decided to tie it all up! 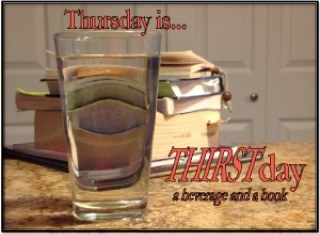 Happy reading & happy THIRSTday! My tea is definitely hot tonight. We have windchill warnings. My run was freezing - well it was in the upper 40s so not REALLY freezing, but yikes! Enjoy the series ending. Often bittersweet.